Married With Children Season 1 Episode: 5 - Have You Driven a Ford Lately? Married With Children Season 2 Episode: 11 - How Do You Spell Revenge? 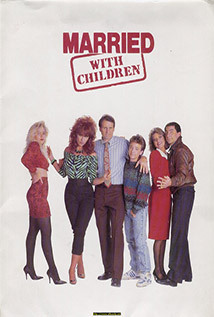 Married With Children Season 5 Episode: 19 - Kids! Wadaya Gonna Do? Married With Children Season 6 Episode: 20 - Hi I.Q. Married With Children Season 8 Episode: 1 - A Tisket, a Tasket, Can Peg Make a Basket? Married With Children Season 8 Episode: 15 - Honey, I Blew Up Myself? Married With Children Season 9 Episode: 17 - 25 Years and What Do You Get?